Well, it’s been almost two weeks since I got my vermicompost bin set up! If you missed the original post, Adventures in Vermicomposting, where I described setting up my vermicompost bin for the first time, you can see it here. I took some pictures today to show you all how my worms (who I’ve named The Snickersons) are coming along. 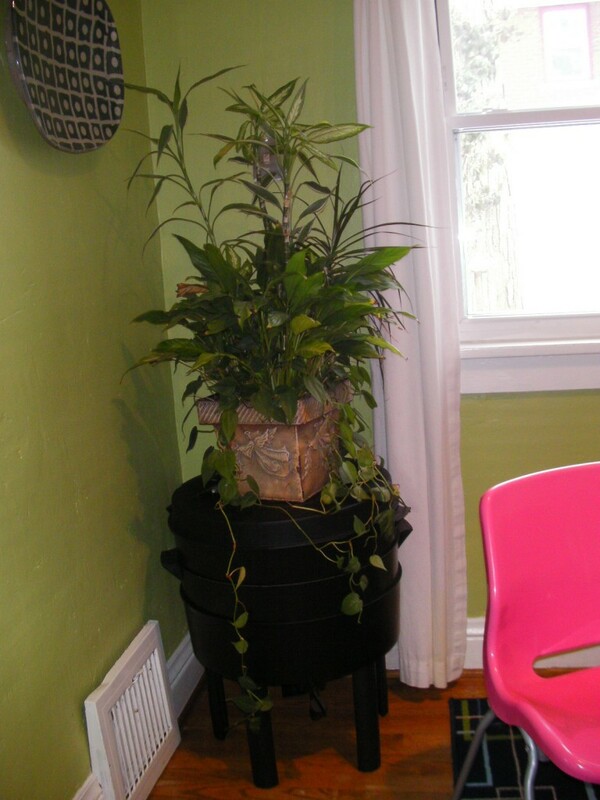 I decided to put my vermicompost bin in my dining room. But, it actually works really well in there, as you can see! The cool thing about the Can O Worms Composter is that there’s no smell. I mean, you seriously can’t even tell it’s a worm composter. The Snickersons seem to be doing really well. Lots of them stay on the surface of the first tray. And, I’m starting to get a few castings, which is the black looking dirt. I haven’t added much food to the second tray. Come to think of it, I haven’t really added ANY after the first container of scraps I put in there on the very first day. Things have gotten REALLY moldy in there from those scraps, though. There’s green mold, white mold, and even some mold that looks like flyaway old-lady hair. But, that’s what the worms eat. They love that mold. Some of them have started moving up to the second tray. I think I’m going to start adding more food to the second tray now that they seemed to have gotten settled. My question to you wonderful seasoned vermicomposters is this: how full does that second tray need to be? As you can see, it’s not “full” of bedding like the first tray is. Everything in there is kind of just loose and jumbled about. Is this ok, or should there be more newspaper or food in there? I’d love to get more worms into that second tray, since there’s not many in there now. Also, should I be fluffing up the bedding in the first tray(the first tray is the second picture, where most of the worms are) with some kind of garden fork, or should I just leave it alone? 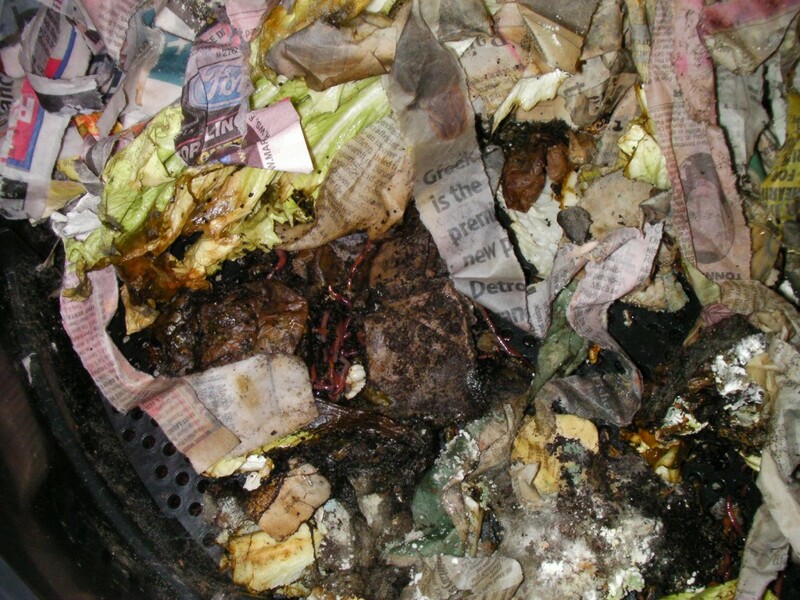 Have any of you started vermicomposting? If so, I’d love to hear about your adventures! So far, I love this. I have to resist the urge all the time to open up the trays and peek on them! Can you please tell me what company you ordered your can from? I am looking for the best price on one…I really want one. I found one on ebay with a buy it now price of 127 and free shipping…that is the can and nothing else. Their price is $119 with free shipping, if I remember right. This one is great because it has so many trays. Other bins only have one big area, which means taking the compost out takes hours. This is super simple: when the worms have abandoned the tray you started them in and moved up to the second tray, you simply pull it out and dump it in your garden. You don’t have to “sort” worms like with other bins. Well good golly, this must be that I was a.) meant to start vermiculture, and b.) follow your blog. I literally just went to a Sustainable Living Fair this morning, and chatted up quite awhile w/ some ladies about their trying to launch urban composting efforts and how I’ve been very interested in bins but haven’t made the full jump to ordering them and establishing a little worm family. Ashley, welcome! Thanks so much for reading! I hope you make the jump into vermicomposting. I really love it! That’s so cool that those ladies are trying to get urban composting going. 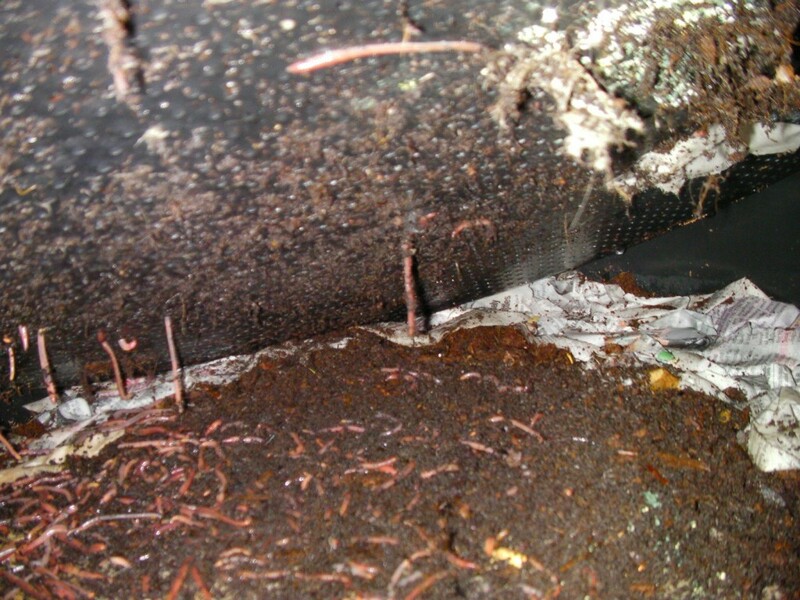 Please let me know if you have any questions about vermicomposting! Yay for you to start ‘worming!’ I’ve been vermicomposting for about 8 months and its awesome… especially if you have kids to enjoy the process as much as you do! I read the book “Worms Eat My Garbage” and it was very helpful! Good luck! Heather, any updates on the worms 8 months later? I’m thinking of vermicomposting and ran across your site. How’s your composting going? Hello!!!! I just set up my first attempt at vermicomposting in a rubbermaid bin and after a week of just damp bedding and a little bit of food, there is a white furry looking mold over the surface of my bedding. Is this normal? Should I be concerned? Just curious… Thanks for any input!